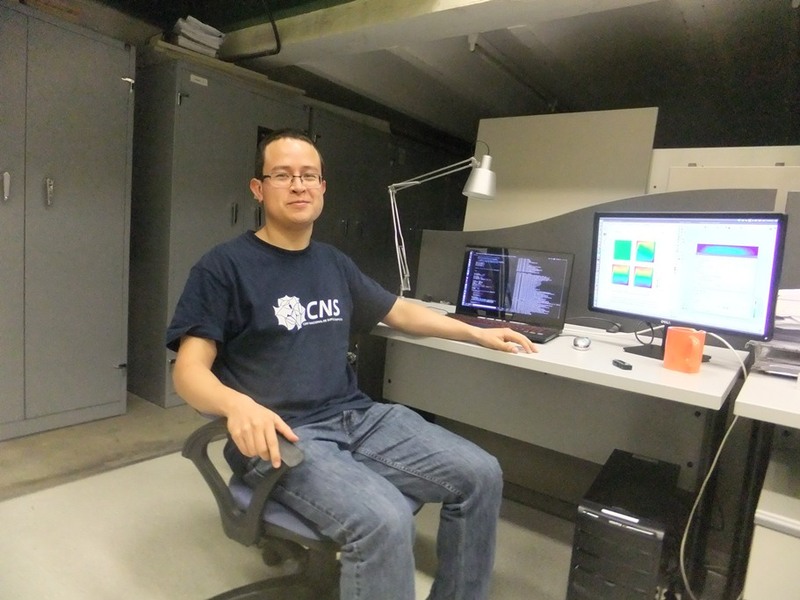 I'm Salvador Botello-Aceves, master student in the Computer Science Department at the Centre for Research in Mathematics (CIMAT) in Guanajuato city, Guanajuato, Mexico, which main research topic is the concurrent optimization design of the kinematically complex mechanism. I have returned from a three-month research stay, thanks to the TCAiNMaND project, in Swansea University. During those three months, I never stop to amaze me the infrastructure applied and applications used in research as well as the number of companies who fervently believe that science is the next step to success. 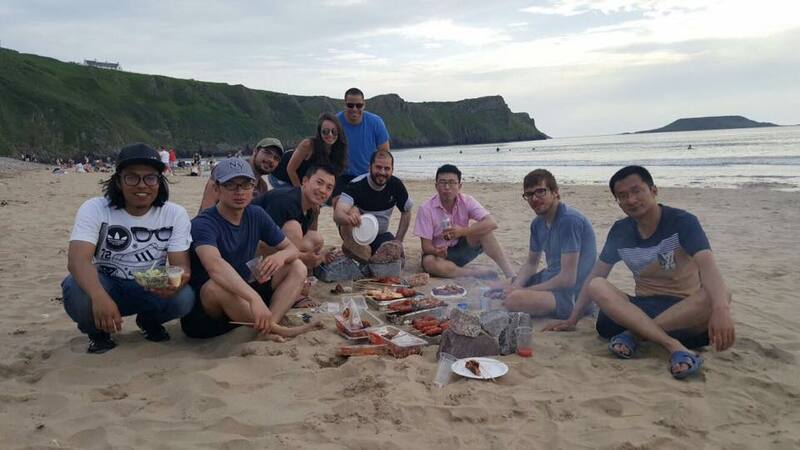 Previously, a Ph.D. candidate from Swansea University came to CIMAT with one thing in mind, create a novel statistical reconstruction algorithm for heterogeneous material. During his secondment, we became friends and he encourages me to follow his steps and use the optimization algorithms that I use in my topic to solve the heterogeneous material reconstruction problem. So I did, and in my secondment, we tackled two main objectives (1) The implementation and parallelization of two well-known descriptor functions used in the material reconstruction, aiming to provide accelerated subroutines to be used in the algorithms developed at Swansea University. (2) The use of evolutionary algorithms to solve the heterogeneous material reconstruction with a continuous representation. In most cases, when a metaheuristic is used to solve this problem have to be work in a binary domain. The representation that we are proposing, in which radial-based distributions are placed on specific points within the domain of the material, it can reduce the dimensionality of the problem, accelerate the convergence of the algorithm, and a great amount of exploration time on global minima, through small perturbations in the continuous representation. Swansea is a coastal city and county in Wales, in the United Kingdom (UK). To arrive, you have to cross half the UK, that is, crossing from England to Wales and continue to the southwest part of the country, which means visiting much of UK. As a whole, is a multicultural , multiracial, and multiethnic amazing place, where the complexity of its socio-political system attracts curiosity. The cultural and ethnic mixture makes you enjoy in unparalleled ways, the enriching experience. The expectation of new tastes and smells, indescribable. The concentration of auditory and visual stimuli unmatched. Interpersonal interaction, essential. The spirituality of the various religions practiced, ennoble. Just an overdose of stimuli to all the senses. In my experience, I can describe the UK in a sentence. "Half of the world converging in one place." Wales, with its spectacular landscapes, beautiful beaches, and mesmerizing monuments, it has a lot to offer and is no slouch in the UK. Thanks to its geographical distribution and its open policy, I got the chance to travel to the European Union. Something that is only possible in Europe. Other experience that only was possible thanks to the TCAiNMaND project. In short, I traveled to Europe to learn new experiences and Institutes for a possible Ph.D. I performed a research work into issues that I was not familiar, using methods that I did know, and I enjoyed it. Return with even more friends with whom I went. Undoubtedly, an unforgettable experience.